The comparison of the Advocacy skills of the NBA Presidential Candidates will be the focus of this 4th post in our series. 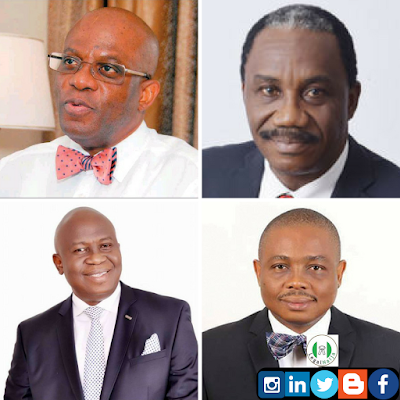 Our 1st post was centered on the background of the candidates while our 2nd and 3rd post were centered on their contributions to lawyer welfare and law reforms and their NBA activities respectively. Kindly note that the information provided below has been derived from the profiles of the candidates published online via the following links; Mr. Paul Usoro, SAN, FCIArb; Prof. Ernest Ojukwu, SAN; Mr. Arthur Obi Okafor, SAN FCIArb and Mazi Afam Osigwe, LLM, FCIArb. Pls note that you may also download the full report here. 1. Paul has been involved in virtually all major transactions and regulatory reforms in the Nigerian communications sector. 2. The world-acclaimed, first-ever and all-round successful Nigerian Digital Mobile Spectrum Auction conducted in 2000. The transaction earned the Federal Government of Nigeria US$855,000,000.00 for 3 Digital Mobile Licences. 4. 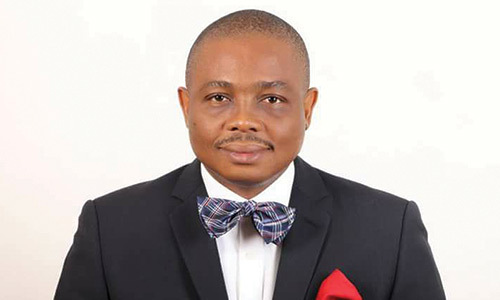 Served as and was the only African and the sole Legal practitioner in the six-member Auction Control Team for the Global Systems of Mobile Communications (GSM) Spectrum Licence Auction that introduced Econet Wireless Networks Limited (now Airtel), MTN Communications Limited and NITEL GSM to the Nigerian market. v. Represented NITEL in the negotiation of the Construction and Management Agreement for the laying of the SAT-3/SAFE/WASC trans-continental fibre-optic cable project which spans the sub-Saharan African Continent and extends to Far East Asia through Southern Africa, with European landing points. This was the first trans-continental cable project in sub-Saharan Africa. 6. 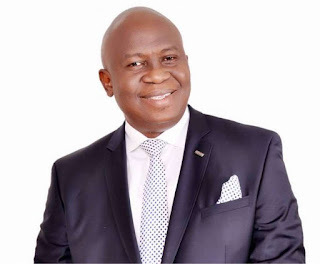 On account of Paul’s acknowledged eminence as Nigeria’s leading Communications Lawyer, Akwa Ibom State Government appointed and relied on him to manage its portfolio investment in Airtel in 2001. Paul negotiated this investment, valued as at the date of entry at the sum of US$75,000,000.00. Akwa Ibom State Government cashed out most of its investments in this enterprise in 2006, in the transaction by which Celtel BV successfully invested over US$1,000,000,000, by way of share purchase from existing shareholders and injected fresh capital into Airtel (“Celtel Transaction”), which transaction was chiefly negotiated by Paul. 7. Paul led the Airtel Shareholders Committee in negotiating the Celtel Transaction as the Committee Chairman, which, at the time, ranked as one of the biggest private sector equity transactions in Nigeria’s history. Paul represented the interest of all the shareholders which included three Nigerian State Governments and blue-chip corporate citizens like First Assets Limited, a wholly-owned subsidiary of First Bank of Nigeria Limited. It is a testimony to Paul’s leadership quality that Celtel BV insisted after the Transaction that he remains on the Board even though Akwa Ibom State Government whom he initially represented had about sold out completely from the Company. 8. Celtel BV in 2010 sold out its equity entirely to the Bharti-Airtel Group of India resulting again in the reorganization of the Airtel Board. Again, Bharti-Airtel, the new 65% owners of Airtel insisted that Paul remains on the Board of the Company where, as at date, he chairs the only Committee of the Board i.e. the Audit Committee. 9. 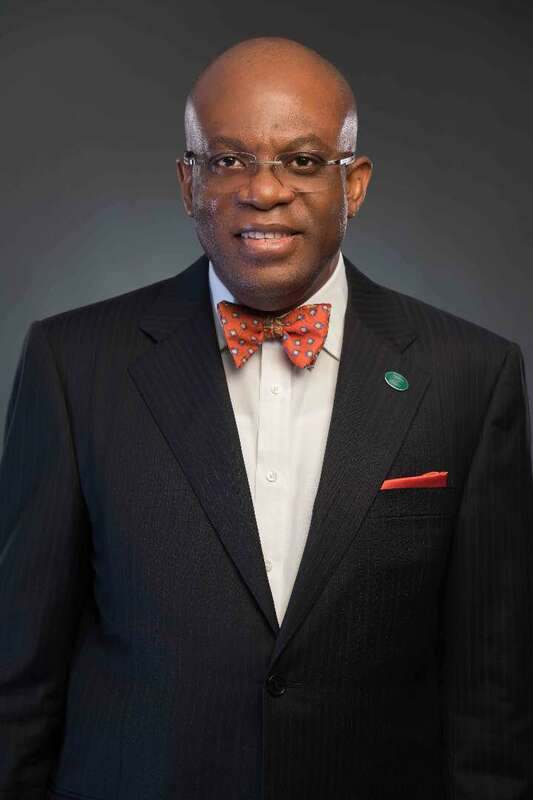 A founding Secretary General, Telecommunications Law Association, Mr Usoro was named ‘Best Pan African Telecoms Lawyer of All Times’ by the IT and Telecom Digest, Nigeria’s leading and one of Africa’s foremost ICT magazines. 23. Leasing Company Nigeria Ltd v Tiger Industries Ltd (2007) All FWLR (Pt. 347) 659 (CA). Ogundipe v NITEL (2015) LPELR – 24920 (CA). 1. Onuorah v. KRPC Ltd. (2005) 6 NWLR (Pt. 921) 393. 2. Balonwu v. Governor of Anambra State 2009 18 NWLR 13 (Pt. 1172). 3. Peter Obi v. INEC (2007) 11 NWLR (Pt. 1046) 565. 4. Edward Nkwegu Okereke v. Nweze David Umahi & Ors. (2016) LPELR-40035(SC). 5. Ikechukwu v. Nwoye (2015) 3 NWLR (Pt. 1446) 367. 6. Ilobachie v. Ilobachie (2005) 13 NWLR (Pt. 943) 695. 7. Odedo v. I.N.E.C (2008) 17 NWLR (Pt. 1117)554.